Possibly this may be a part of the current Government policy that may not have been thoroughly thought through yet, but it seems to us here at the Fish that there may be some parts of this policy that may not work. I’m talking about the proposal to construct some additional prison space for all the naughty boys by using standard shipping containers, and getting the prisoners to help construct their own prisons out of them. I confess, I had to check my calendar – no, it was not the 1st of April – and my sceptical mind thought that there may be some flaws in the proposal. While it would, on the surface, make some sense, to use the very cheap and very strong steel boxes to construct some short term prison structures, there may also be some similar setbacks. Letting inmates lose with steel cutting equipment (oxy-acetylene gas axe anyone?) or giant sledge hammers and cold chisels would seem to be short sighted, although yes, it could well give them construction skills for the outside world. The chance to design in and build your own escape route would be tempting for at least a few. Collins says “it is only one of the options we’re looking at – another is double-bunking” and that the reason is that Labour did not build enough prisons when it was in power. 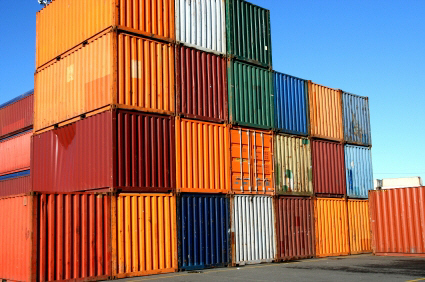 On the other hand, second-hand containers can cost as little as $3000 each (on National Radio this morning, a cost was mooted of $20,000 for a basic container was mooted, rising to $300,000 after fitout). I’m confused by the claim that Labour didn’t build enough prisons – anyone talking to architectural stalwarts Stephenson and Turner (and others) will know that prison building has been going on non-stop for the last few years. I’m also confused that a cost could be attained of $300,000 for the fitout of containers could cost that much even if this hare-brained scheme did go ahead. 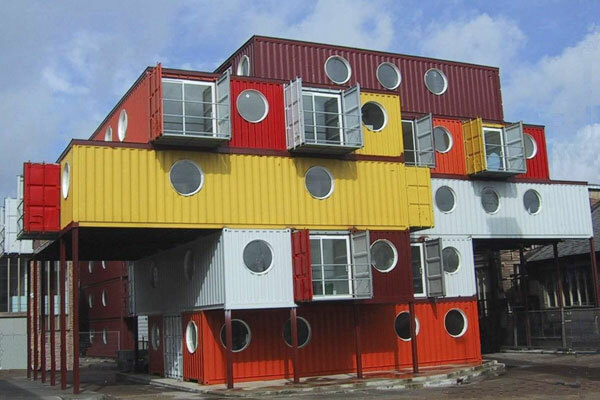 There’s no doubt that containerisation does offer many possibilities, including for accommodation, of which many options exist. Just not sure that this one has really been thought out yet. Are containers really the way we should be going? Your thoughts on this one – very welcome! And feel free to post links (one link at a time, or they end up in the spam queue with the viagra merchants) as well. Maybe not such a crazy idea after all. 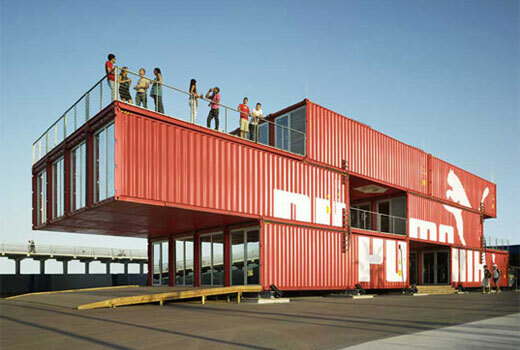 Advantage of containerization is that you could move the prisons from one city to another without too much effort. Not possible at present with fixed concrete wall cells. so what was this guy convicted of? I believe that was a self-imposed exile. Ross Stevens is a lecturer in Design – its quite a nifty number, and there are some interesting features in there. Certainly the cost was a lot less than the $370,000 cost (per cell) stated on the news last night. Apparently the standard cost for constructing prisons costs over $600,000 per cell. (according to 3 news, at Springhill prison). It just seems totally over top to me. 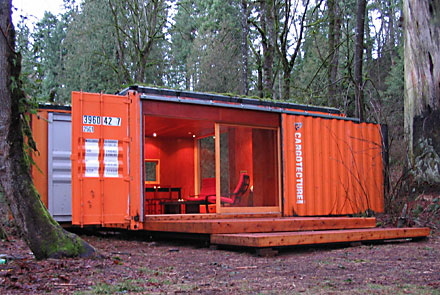 I think Shipping Containers for prisons make perfect sense. It is the smartest thing I’ve heard come out of the Parliament since Labour were in power. I have been following the Container Home band waggon for a few years now and I have done quite thorough investigations. The simple fact is that if its done right then it is a good idea. It is a very green material, it is cheap and it is actually a very good thing to let the prisoners “assemble” their cells. I like the “you make your bed – now you sleep on it mentality”. I think it is way too early to be making misleading statements on technicalities & specifics because none have been released yet – who the heck said anything about handing over power tools to prisoners. Lets just keep to the facts. I reckon this is just another case of bad spinning by the Nats. It seems fairly obvious that if the Corrections Dept are to unveil a prototype or two on Thursday as rumoured, that this has been going on for quite a while. My guess is that with arch and engineers involved, it would have been going on for more than 6 months ie this predates National. Will the real architect stand up? Here’s an idea – just an idea mind you, not thought through all the way yet, but: you know how the world cup rugby is coming, and how the ACC has just bought itself Queens wharf in Auckland, and how its covered in old sheds and there are a bunch of containers nearby…. …and on the other hand the gummint keeps locking up all the naughty men, and wants to have more prisons to lock more of them up, and wants to convert containers into prison cells and apparently they need to be plumbed in for WCS etc as well as bunks, and the cost per room is greater than that of a 5 star hotel room and all…. …so why don’t they put it all together. 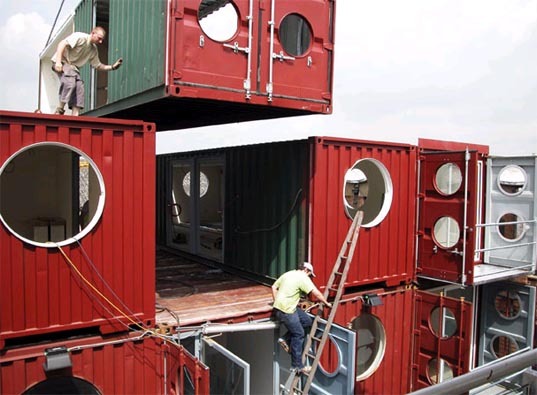 Convert a whole bunch of containers into rooms, assemble them all on Queens Wharf for the Rugby world cup, and then afterwards, sling them on the back of trucks and take them away to a nice quiet paddock somewhere in South Auckland or Northland, and reassemble them as a prison. Automatically solves two looming problems – lack of temporary accommodation for a one-off event, and future lack of prison beds. Ta Da ! Problems solved! Then they get to have a nice flat Queens wharf on which to do things on, and a few years in which to plan for a post-cup world. Rondo – I think you’re right. Judith Collins is on Radio Active at the moment and has invited Liam out to Rimutaka to look at a couple of prototypes. She talks about it all being set up with heat pumps, toilet, bed etc. She also talks about the containers being set up on existing prisons so all of the infrastructure is in place. This is one of reasons that the price of the cell is less than a purpose-built facility. Why thank you m-d, thank you. I can just feel the waves of rapturous applause heading my way….. or at least waves of something…. no, wait, that’s just a pod of orcas chasing a stingray…. Mobsta – thanks for the info. Why not discuss it here? As good a place as any… You’re right though – there is a massively wider conversation that should be happening about the whole prison thing. It is (or should be) a matter of massive public shame that we have the second highest rate of incarceration in the developed world. America first of course, and the stats there are that (something like) 1 in 9 black men in the US will spend some time in prison. And to be honest, we have a similar massive problem in NZ in that by far the highest rate of locking up is with young maori men. And that’s an awful waste of young maori men. And its not getting better, its getting worse. So – needs a huge amount of study, but at a simple, basic level, it can be said that something is failing young maori men – education? support? health? drugs? land confiscation ramification, 100s of years on? and the rate of incarceration will never get less unless those issues are sorted and addressed and we get to be in similar situation to the Scandinavians where population levels are similarly low, but their incarceration rates are tiny. And sadly the story is the same in other New World nations too. The way things are going, they’ll get worse before they can get better. Does Attica spring to mind? 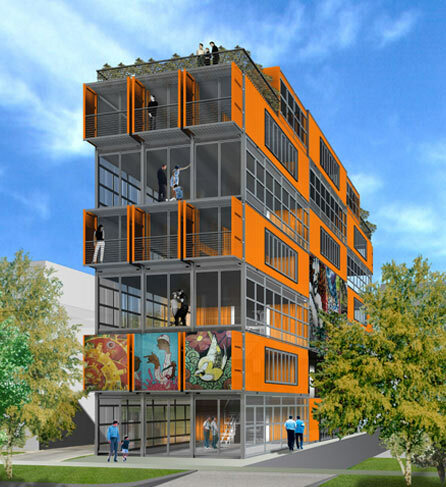 I will be talking to Kathryn Ryan on Nine to Noon on Monday at 11.45am about prison architecture and the design merits (if any) of using containers. Any links and/or suggestions happily received. for a start there is the NZ Company called Habode http://www.habode.com/ with a bach in a container. 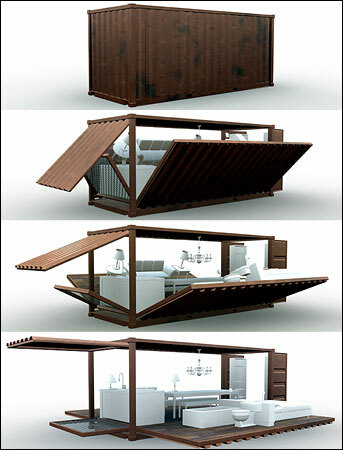 There is also a book called Container Architecture, by Jure Kotnik, which looks like a fairly authoritative combendium. I haven’t got a copy – you could try the Arch School Library – they might have it. There is another book called Prison architecture – by Leslie Fairweather and Sean McConville – which features some info on containerisation of inmates – including new UK prisons in places like Preston. My one experience of Preston is that living in a container there might be an improvement on the rest of the housing stock there. I know that prison architecture is not really trying to be an architectural masterpiece for the purposes of the inmates, but does it have to be all so awful looking? Stacked up, one on top of another, they just look like blank walls and are not a good look for anyone to have in their neighbourhood (even the residents of Rimutaka deserve better than that). What about taking as a design inspiration the work of Moshe Safdie at Habitat 67 in Montreal ? 40 years on and it still looks fantastic. And it might inspire the poor buggers locked up to become more, to make something of themselves. Architecture can free the mind, even if it also locks up the body. Did anyone see the prototypes of the container cells on the news over the weekend? It didn’t look like they were knocked up in 2 or 3 days. honeywood – you name-checked Whale Oil but not us at the Fish? Bother. Clearly a whale beats a fish any day. But its quality, not quantity, that we deal with here…. I think that they should be kept in containers with at least 5 prisoners in each of them. The more serious criminals (murder etc) should be in with other murderers and should have a plain container and get 30 mins of exercise and 3 slices of bread a day. The toilet should be a little rubbish bin and have a small skylight, their beds should be a tiny peice of wood with splinters. That would save the costs on building each cell. No insulation and definately not heat pumps as the government should be trying to help the non-offenders with house insulation etc.